Faith Hill doesn't have a hat on. 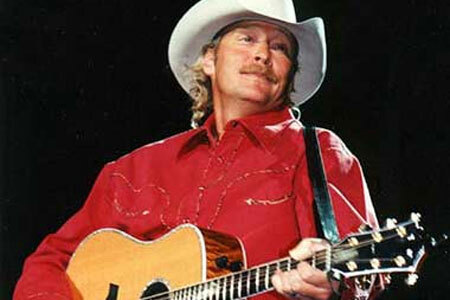 Faith Hill, Willie Nelson and Rodney Akins were all adopted while Dale Evans adopted four children making her the odd one out. Livewirer's blog contained a piece on Hill, Nelson and Sarah Mclaghan as adopted children speaking up for an adoption charity. 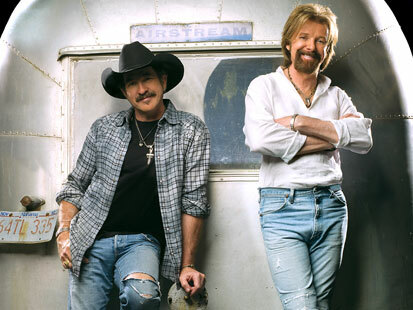 I used Akins instead of McLaghan because he's more of a country singer. The blog still places Hill and Nelson together as a clue. Obviously not enough of a clue. Big clue: the answer can be accessed via Livewirer's blog. After a quick glance I thought the Dixie Chicks. All the other artistes pictured are male, the three chicks are female.Also, the Chicks R the only ones in a tree. Oh come on, Moshe. You know it wouldn't be that easy. lo&m wrote: Oh come on, Moshe. You know it wouldn't be that easy. No, the connection comes from when B&D and the Chicks were still touring. Almost forgot about this. 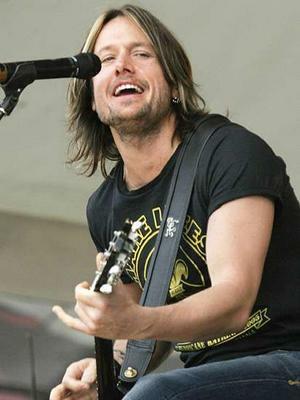 When Keith Urban first moved to America, he found work as a guitar player in the touring bands of Alan Jackson, Brooks and Dunn and the Dixie Chicks. lo&m wrote: Almost forgot about this. When Keith Urban first moved to America, he found work as a guitar player in the touring bands of Alan Jackson, Brooks and Dunn and the Dixie Chicks. Blimey. So Keith is the odd one out because he has worked for all the others. You learn something new every day! They ask, "What is the link between the images over the four days?" I cannot identify pics 1 and 2. 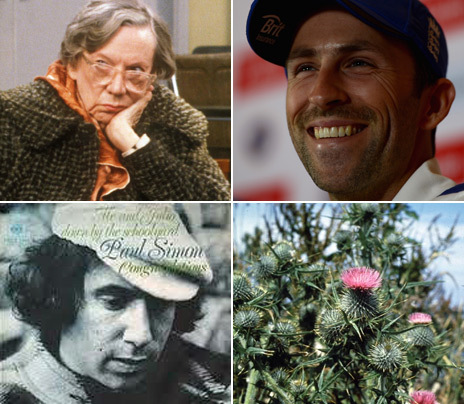 Pic 3 is Paul Simon and 4 is a thistle. So I'm turning over to you folks. Can you identify 1 and 2? I don't know if it's relavent but PS sang the other day at Newtown. That is an England Crown/Lions cap with brit insurance logo who do sponsor Cricket but I don't recognise the guy yet. Isn't number 1 Alf Garnett's mrs, Dandy Nichols..........? The cricketer is Graham Onions.